SWSG provided final system commissioning for the new utility power system, standby power system, HVAC system, and fueling system as part of our overall construction management at-risk services. 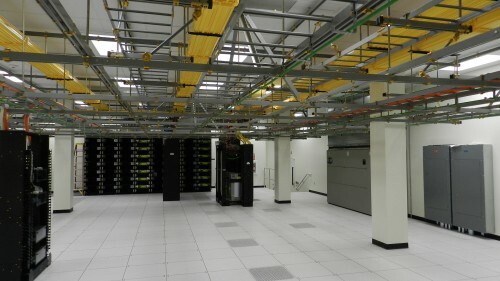 SWSG developed detailed commissioning scripts and implemented all commissioning services for this 30,000 sf new electronics lab – data center project. The project includes all new utility infrastructure, back-up power systems, chilled water HVAC, BMS system, and electrical distribution. The new facility was designed inside an existing shell warehouse as a “building-within-a-building”. The mechanical system includes CRAC cooling in the data center area. The new chillers include free-cooling modes of operation. The project also included a new building management system (BMS). SWSG provided design documents for the new BMS system allowing the contractor to install the wiring, conduit, and connections. The Owner’s BMS vendor provided the main control panels, software, and customization for the system. SWSG and the BMS vendor worked closely to commission the system after installation. SWSG developed detailed commissioning scripts and implemented all commissioning services for the utility upgrades to the new data center and electronics lab. Our engineering department developed the scripts and our CM served as commissioning agent throughout the commissioning process. SWSG provided final system commissioning for the new standby power system and utility system cutover as part of our overall construction management services. 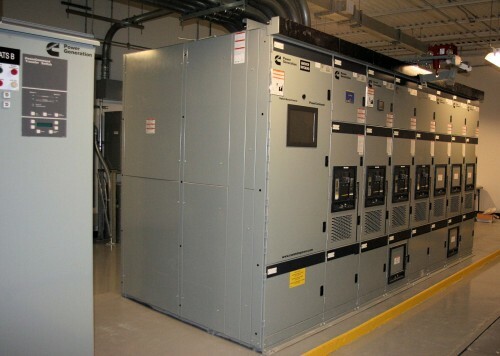 SWSG developed detailed commissioning scripts and implemented all commissioning services for the standby power system upgrades to the existing Class-A telephone central office in Wayne, NJ. Our engineering department developed the scripts and our CM served as commissioning agent throughout the commissioning process. This project provided a 2 mW, N+1 standby power plant including two 2 mW generators and synchronizing switchgear with provisions to add a third 2 mW generator and future utility service. SWSG integrated temporary generators during the cutover periods. 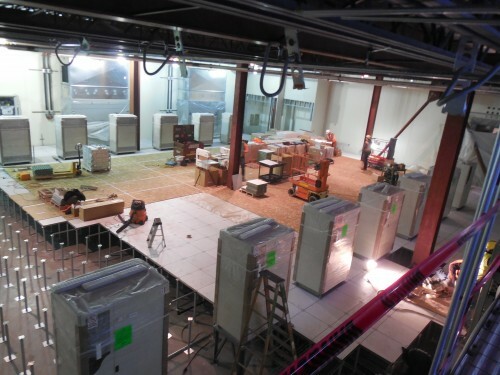 SWSG provided final system commissioning for the new standby power system, utility system cutover, and HVAC system as part of our overall construction management services. SWSG develop detailed commissioning scripts and implemented all commissioning services for this 26,000 SF multi-phase project. The project included all new utility infrastructure, back-up power systems, chilled water HVAC, BMS system, and electrical distribution. 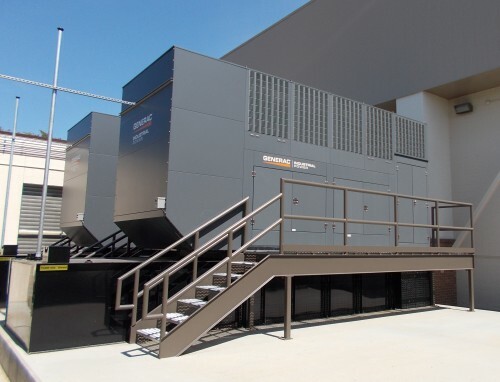 To prepare the site for expansion, we relocated existing HVAC condensers and installed two temporary generators. 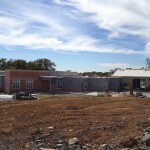 The main project included a 6,000 SF data center addition to the existing telephone central office facility. The project included a new chilled water system with capacity for traditional CRAC cooling as well as high density cooling in the data center area. The new chillers include pre-cooling and free-cooling modes of operation. The project also included a new building management system (BMS). SWSG provided design documents for the new BMS system allowing the contractor to install the wiring, conduit, and connections. The Owner’s BMS vendor provided the main control panels, software, and customization for the system. 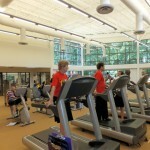 SWSG and the BMS vendor worked closely to commission the system after installation. SWSG developed detailed commissioning scripts and implemented all commissioning services for the utility upgrades to the new data center and central office. Our engineering department developed the scripts and our CM served as commissioning agent throughout the commissioning process. SWSG provided final system commissioning for the new standby power system, utility system, and HVAC system for this multi-phase project to modernize and expand the existing central office. The design included an electrical-generator-cooling yard and A/B CD power plant. The project included all new utility infrastructure, back-up power systems, chilled water HVAC, BMS system, and electrical distribution. The main project included a 3,000 SF interior renovation to create a data center within the existing telephone central office facility. The project included a new chilled water system with capacity for traditional CRAC cooling as well as high density cooling in the data center area. The new chillers include free-cooling modes of operation. SWSG provided design documents for the new BMS system allowing the contractor to install the wiring, conduit, and connections. The Owner’s BMS vendor provided the main control panels, software, and customization for the system. SWSG and the BMS vendor worked closely to commission the system after installation. SWSG developed detailed commissioning scripts and implemented all commissioning services for the utility upgrades to the new central office. Our engineering department developed the scripts and our CM served as commissioning agent throughout the commissioning process.